Time blurs memories and I can’t tell when my love affair with ice and glaciers began. I suspect it’s related to my passion for the immensity of the desert, perhaps because of Peter O’Toole and the memorable Lawrence of Arabia, a movie that caught the heart of every one of my generation. 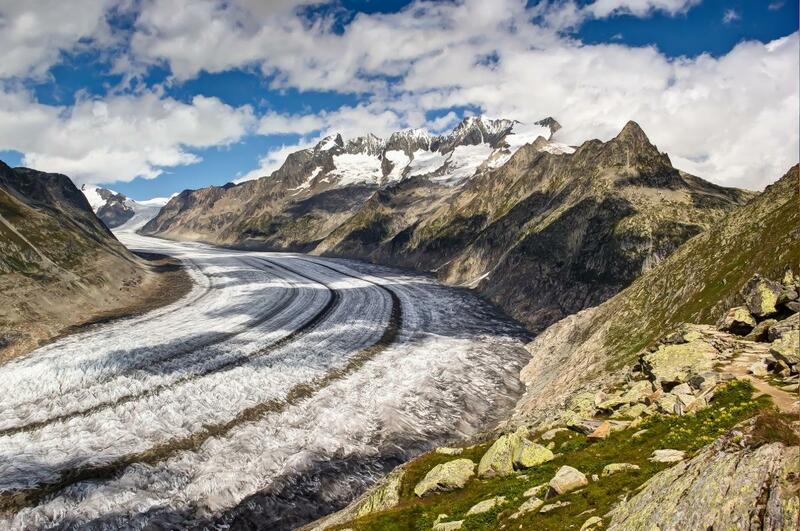 I had my first encounter with the Aletsch Glacier last year when I spent a few days in the Jungfrau region. From the Jungfraujoch railway station, the highest in Europe at 3,454 m (11,332 ft), the view on the surrounding peaks of the Jungfrau, Eiger, and Mönch and on the upper Aletsch Glacier was astounding. 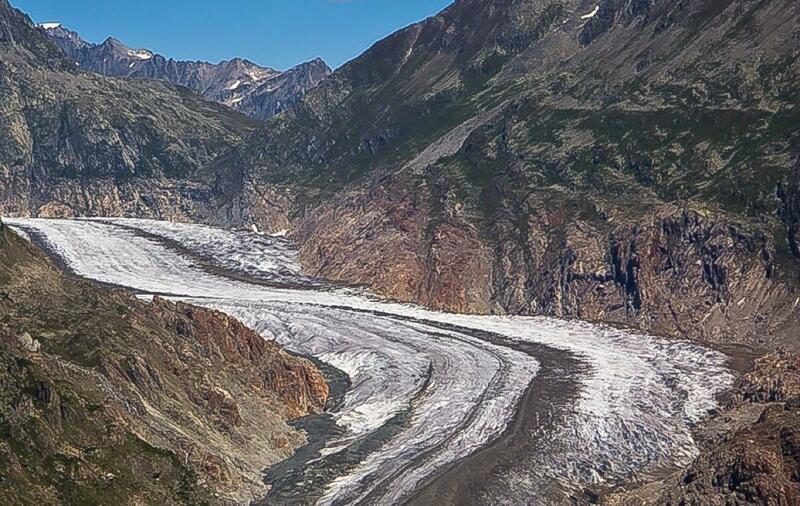 I was thrilled to finally see the largest glacier in the Alps (and a UNESCO World Heritage Site since 2001), and I knew that I wanted to see it again, perhaps from a different perspective. 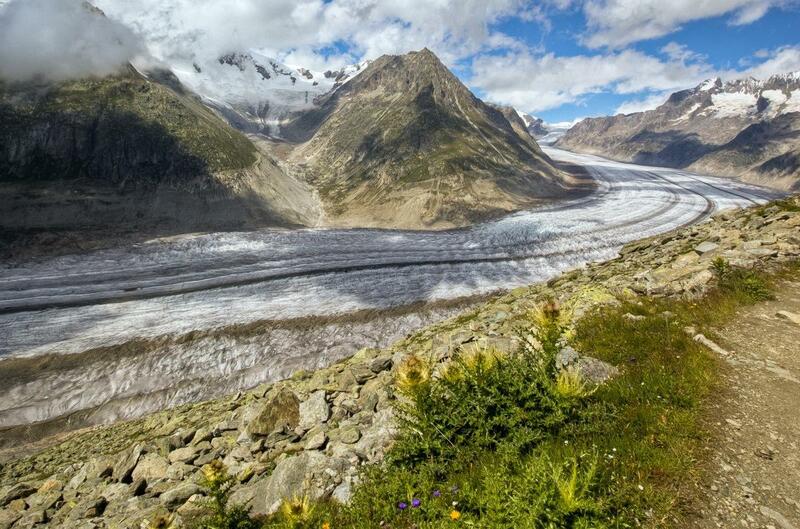 On the way back to Milan from the village in Switzerland where I grew up, I stopped along the way at the Aletsch Arena, a large mountain resort overlooking the glacier. I anticipated it would be a beautiful scenery but once I stepped off the cable car in Bettmerhorn and walked just a few steps, I was literally mind-blown. 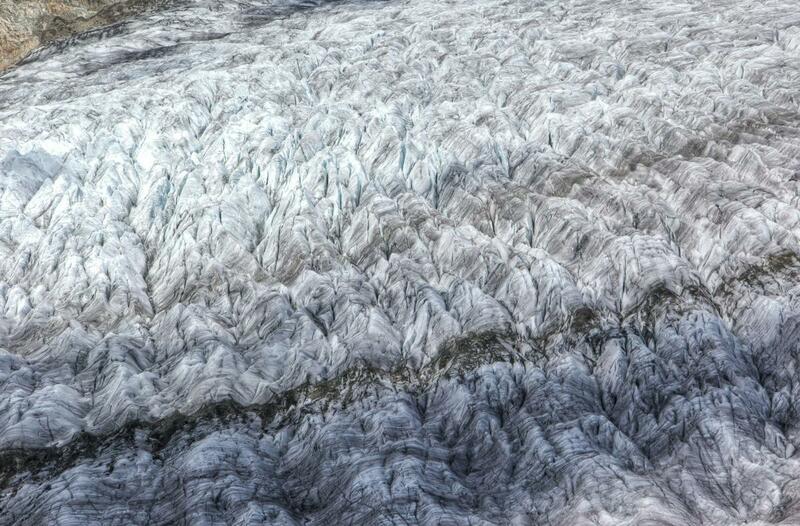 The Aletsch Glacier, like a wide tongue of white ice, was standing right at my feet, the crevasses making it similar to a big, natural lace. 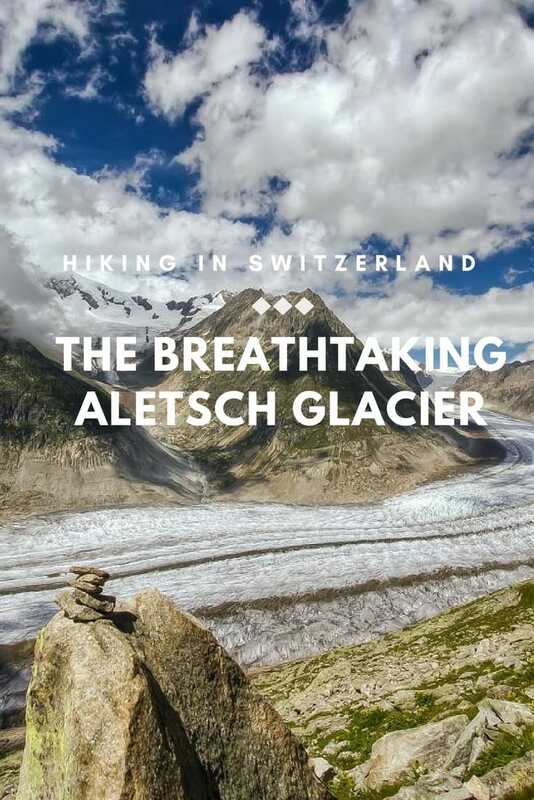 I started the hike along the Aletsch trail, bordering the glacier and leading towards the Märjelen glacier lake. Calling it a scenic walk is an understatement. It is one of the most beautiful and unique hikes you can do in the Alps, and the best of it is that you don’t need to be particularly fit. From Betterhorn – the arrival of the cableway -, the path descends gently. The rocks, with their ever-changing shapes on the right, and the meandering stretch of ice on the left. Far away, on the background, the white peak of the Jungfrau, the place I named ‘white wonderland‘. I was grateful that the hike is easy because I’m shamefully out of shape. Nothing better than not having to think too much at my feet, focusing on the breathtaking scenery, catching it with my camera first and then fixing it in my memory. The trail was surprisingly quiet. Only a few hikers now and then, and the glaciers seemed to be there only for me. I felt blessed, and a little stupid. How can I have possibly ignored until now that such a breathtaking scenery is at a stone’s throw from Milan? All right… Better late than never. 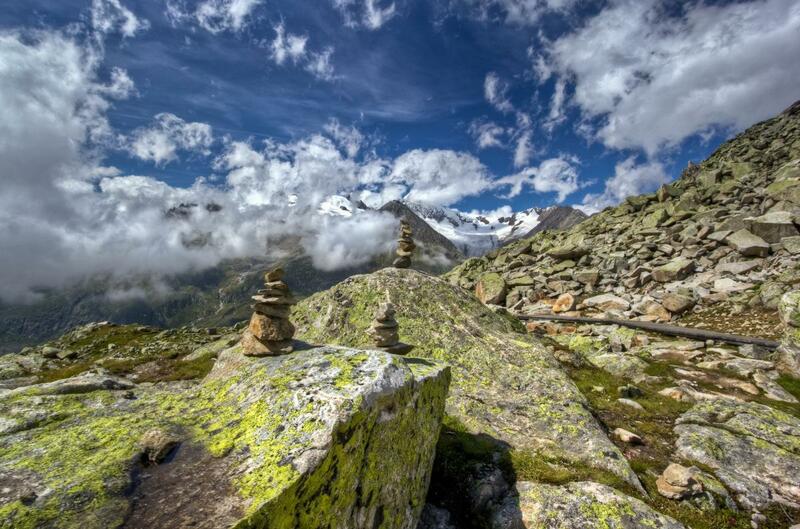 The Valais region, bordering northwest Italy along the Alps, has been on my radar for a while. 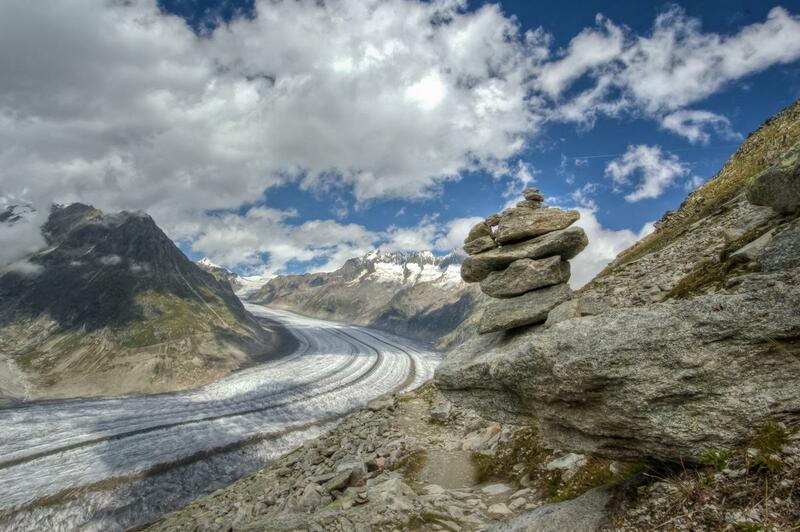 Saas-Fee, Zermatt, the charming little town of Evolène, and now… The Aletsch Glacier. No doubt. I’ll be back soon! 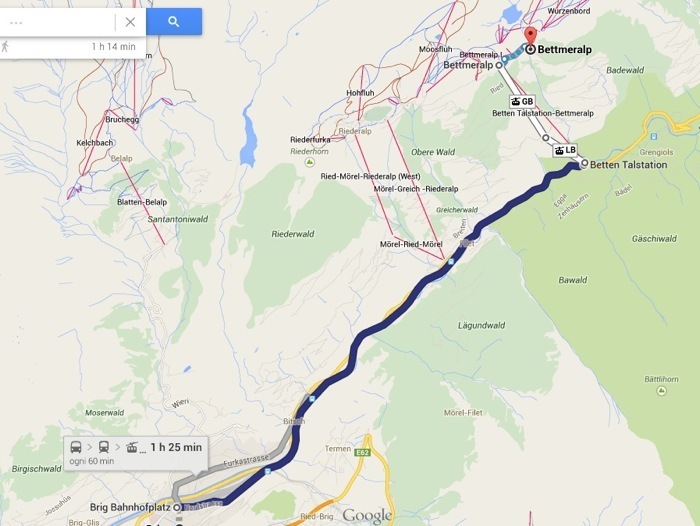 The easiest access point is from Betten, about 12 km from Brig, which can be reached by train (1 every hour). »»» Info on the Swiss Rail Timetable. Pin it if you like it! Your pictures are amazing, it looks like such a beautiful place! I absolutely love cold environments, this just makes me want to jump straight on a plane and go there – definitely somewhere to go in the future. Thanks so much, Kayleigh. 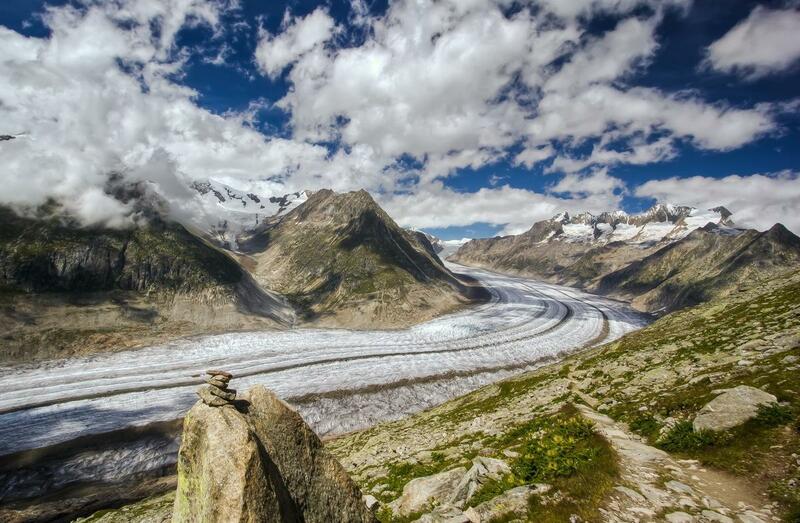 The Aletsch truly is one of the most beautiful mountain sceneries in the Alps and I hope you’ll get to see it one day. Beautiful scenery. 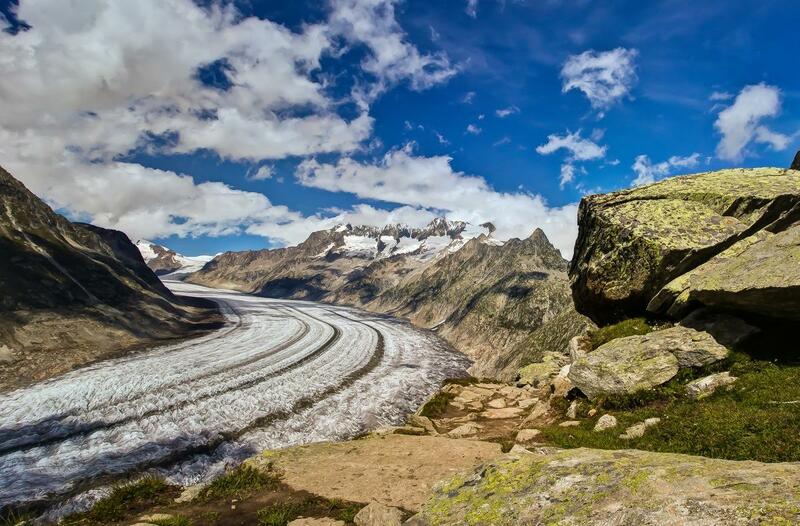 Would love to visit the Glacier and Switzerland. One gets inspired to visit after reading your blog post. I’m so happy if the post and photos inspired you. Switzerland is such a beautiful country! This looks awesome, thanks for sharing! I’m a huge fan of hiking and will definitely add this to my list. Is it best to go from Milan or Geneva? Milan looks like it might be closer. You’ll love that hike, Alex. And there are many more in the area. By train, the journey from Milan is slightly shorter than from Geneva, but I’d say that both are good options, with the journey between a little less than 2 and 2,5 hours. I never get enough of mountains, and especially of the Alps and the Dolomites. There are places where I’ve been many times, but they’re never the same. That’s what makes them so special to me. Simon, What stunning scenery…and if it’s an easy walk, I’ll just have to go. It looks like you might have been there in June. Is that right? Yes, Corinne, the scenery is one of the most beautiful I’ve ever seen. And the good thing is that this hike is suitable to anyone. In fact, I was there around the 20th of August, but I guess it’s awesome in June as well.